Fort Pickering once sat here, actually the 2nd Ft. Pickering sat here. Today an abandoned motel sits on part of the land once fortified. 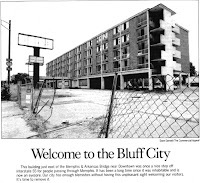 Dave Darnell’s photo essay in Sunday’s Commercial Appeal shows the eyesore greeting driver's entering TN via the 1949 Memphis & Arkansas Bridge. 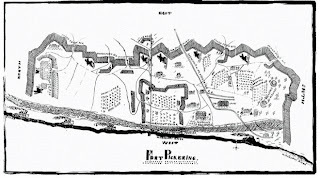 Built as a strategic command point for the Union army during the American Civil War, Fort Pickering stretched nearly 2 miles along the south Memphis bluffs. 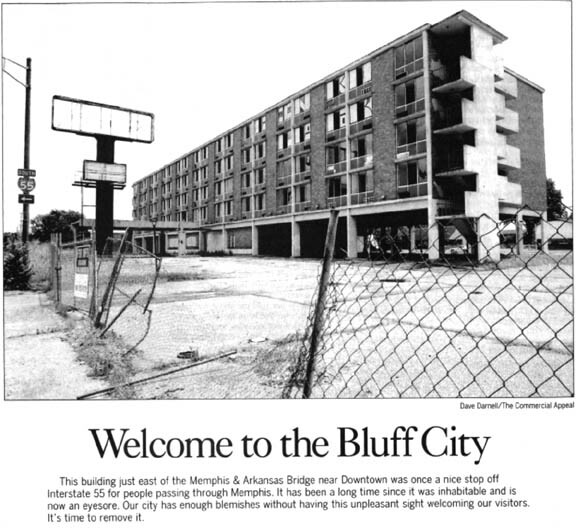 According to archaeologist Guy Weaver, it probably extended north to Beale Street. 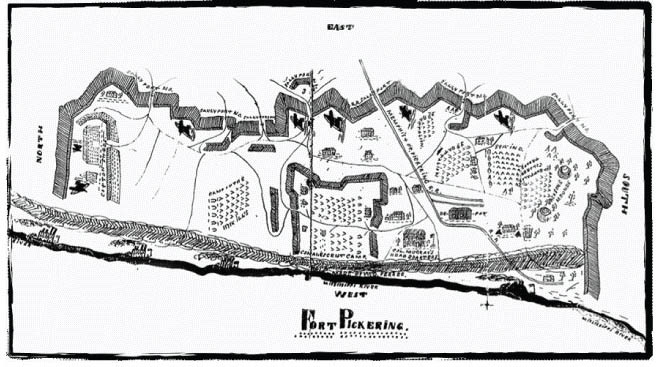 Outfitted with 55 guns, the fort included structures needed to serve the large number of troops living in and passing through, including a hospital, rail depot, water works and a saw mill. The fort was decommissioned and demolished in 1866. Excavation and survey of the site was done by Weavers & Associates. Click HERE for more information and photos.